Let’s talk about a big SEO secret. As I looked around the table, I saw everyone was nodding. And, yes, I was nodding too. Because, once upon a time, I could keep up with all the SEO news. I could read every article, check out every newsletter and stay extremely informed. Is it any wonder we have problems keeping up with the latest and greatest? In fact, one of my SEO Copywriting Certification students asked for my “must read” short list. Why? Because he was feeling overwhelmed and needed a way to focus his efforts. His question prompted me to brainstorm my short-list resources I keep up with no matter what. Do I read and follow others? Heck yes. But, I find myself returning to these resources when time is tight. The SEM Post. Jennifer Slegg, the publisher, is a long-standing SEO expert, speaker and fantastic journalist. Her posts, like “How Google Handles Rankings for Identical Products on a Site,” can be a tad on the geeky side — but, they are worth the read. Plus, she can get guys from Google to talk to her on record. I cite her blog posts in my Certification class all the time. Search Engine Land. This site was founded by search marketing’s O.G. Danny Sullivan (did you hear he works at Google now?) and Chris Sherman, who programs the SMX conferences. SEL is a great all-around source covering SEO, SEM, local search and more. Their news editor, Barry Schwartz (who also runs the slightly more technical Search Engine Roundtable), has been reporting on the industry for years. Stonetemple’s Digital Marketing Excellence Blog. Eric Enge and Mark Traphagen, the dynamic duo behind the blog, are two smart guys. When they’re not running studies to determine what SEO technique really works, they will get down and dirty with in-depth posts like, “The Three Marks of Great Content.” Check out their videos, too — they’re delightfully geeky. Neuromarketing, by Roger Dooley. Learning about neuromarketing will turn your copywriting knowledge up to a Spinal Tap 11. Roger Dooley takes an extremely geeky subject and makes it accessible and fun. Plus, he understands the SEO side of the street and has presented at search marketing conferences. You will learn a lot. Trust me. Anything by Larry Kim. Larry. Is. Brilliant. He dives into the data and serves you up a hot helping of “wow, I never thought of that.” He frequently publishes on his Medium account, with viral post titles, like “13 Easy LinkedIn Hacks That Will Boost Your Profile Views” and “Five Facebook Power Tips That Will Make You Shout For Joy.” You’re going to dig Larry. I just know it. The BuzzSumo blog. I’ve said before that I’m a Steve Rayson fangirl (he’s the Director of BuzzSumo.) He combs through big data, pulls out the tasty bits and serves them up in extremely detailed (but not too geeky to read) blog posts. If you want to know the top words to include in headlines or how to amplify content, you must read this blog. Moz’s Whiteboard Friday. OK, the entire Moz blog is good — let’s get that out of the way first. But, Rand’s Whiteboard Fridays are off-the-hook awesome. In his funny, mustachioed way, Rand answers questions (some of them, highly technical) in an easy-to-understand style. Plus, for those of us who hate sitting through videos, there’s a nicely formatted transcript for us to read. Enjoy! Rand has since moved on to another company, but the Moz team has kept Whiteboard Fridays alive. Content Marketing Institute. The CMI site has everything an SEO content marketing strategist needs. Do you need content marketing stats for management buy-in? Check. Looking for writing tips? Yup, you’ll find them. You’ll also find a wealth of other information, too, like training courses and case studies. When I’m training clients, I always have at least one slide listing CMI as a resource. Marketing Profs. This site, like the CMI site, has it all. Salary surveys, marketing tips from expert authors, original research and more. Ann Handley, the chief content officer, is a marketing genius. If you get a chance to see her live, go! She’s great! 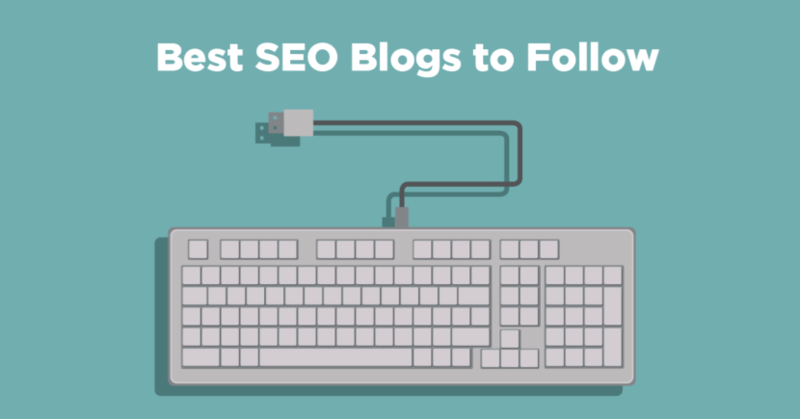 What are your must-read blogs and folks to follow?